WE’LL DELIVER THE RIGHT PROCESSES TO ASSEMBLE YOUR STEEL JUST AS YOU NEED IT, USING THE LATEST STATE OF THE ART TECHNOLOGICAL SOLUTIONS. 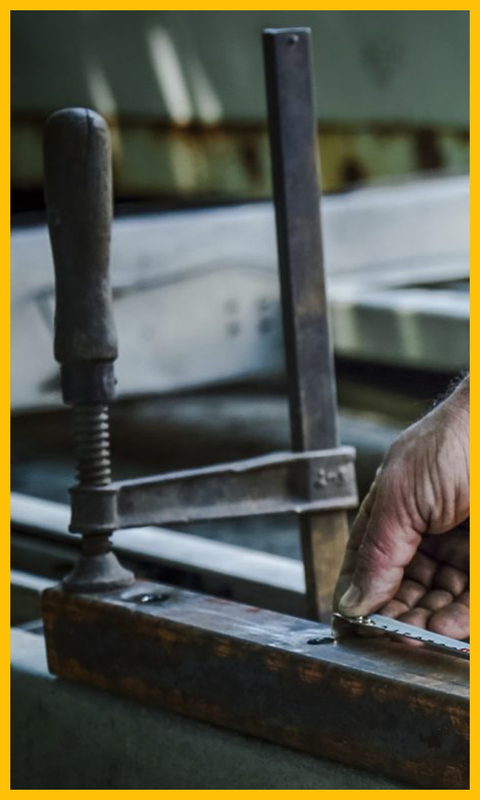 When it comes to steel fabrication, we’re experts. 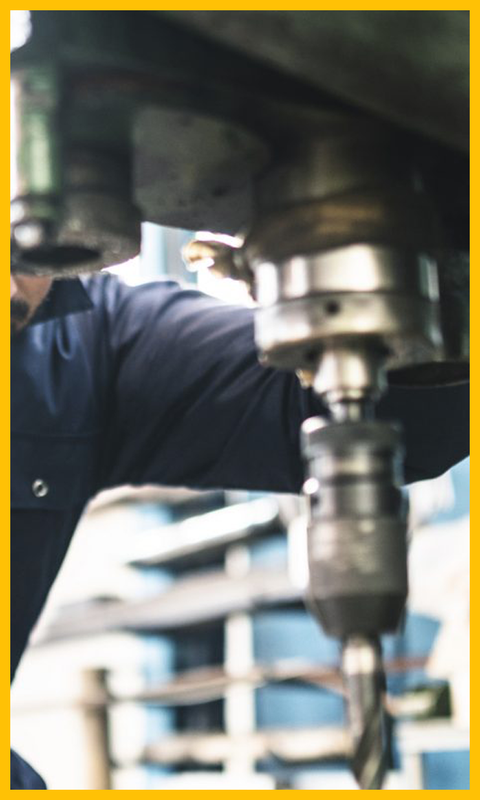 You’ll appreciate our quick and efficient in-house services. Using the best machinery available on the market, our fully certified fabricators will ensure that the steel fabrication process will be completed to the highest of standards. All of our stock range can be prepared to your individual requirements. Whether you need cutting, drilling, painting or welding, or an alternative more detailed fabrication, do get in touch and we’ll be more than happy to help. Playing such an essential part of the steelwork fabrication procedure, we know that there’s no room for error when it comes to welding. 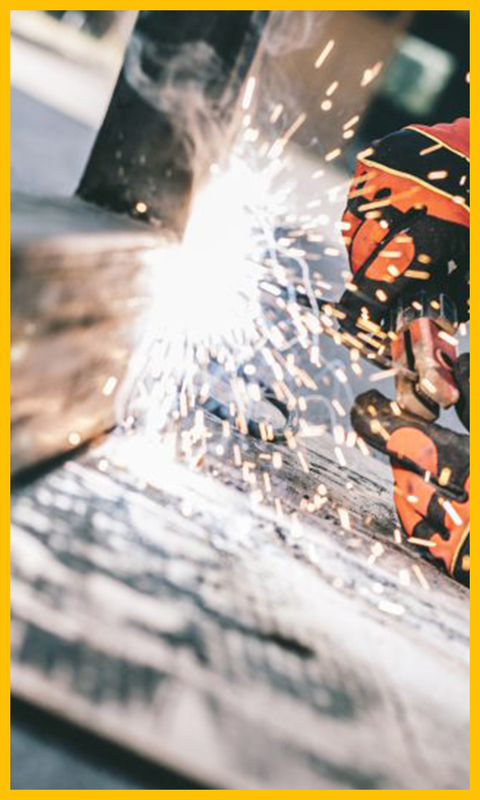 We’re proud to only employ the best skilled and experienced tradesmen to work at our facilities. The process of welding involves incredibly high temperatures and we make sure that we only use the latest equipment in order to meet all Health and Safety standards plus industry regulations. CARRIED OUT ACCURATELY AND TO THE HIGHEST OF STANDARDS. 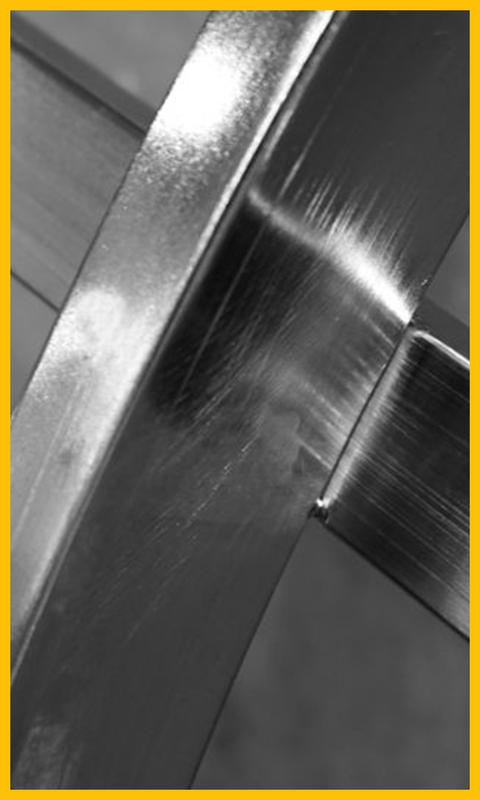 ONE OF THE KEY SERVICES AS PART OF THE STEEL FABRICATION PROCESS, PUNCHING IS AN AREA THAT WE SPECIALISE IN – AND TO AN ULTRA-HIGH STANDARD. We know that our steel fabrication services are absolutely vital to our clients. Knowing that you are reliant on our services, we make it our business to ensure that every process including punching is carried out effectively and to the highest quality standards. 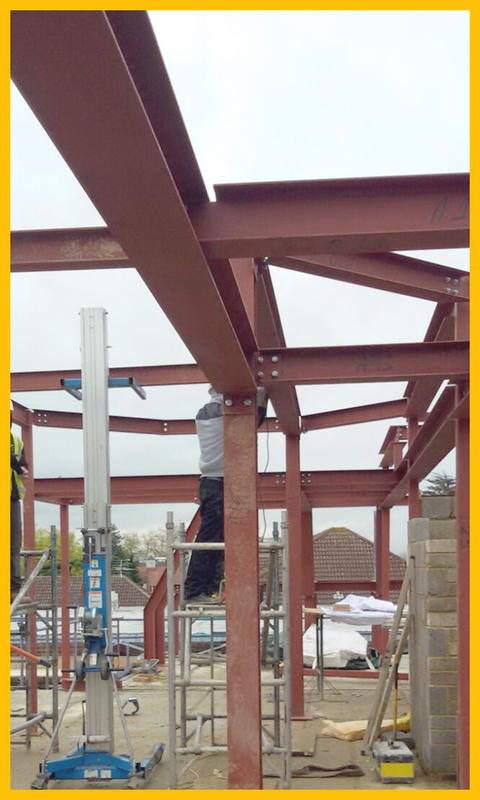 We work closely with our clients to find out what they need in the way of their steelwork. Detail is absolutely key, so we make sure that accuracy is on top of our agenda for all of our punching requests. ENSURING YOUR STEEL IS STRONG ENOUGH MEET YOUR PROJECT NEEDS. WE’RE PROUD OF THE QUALITY STEELWORKS SERVICES THAT WE PROVIDE TO ALL OF OUR CLIENTS, LARGE AND SMALL. THIS ALSO INCLUDES OUR COATING FACILITY THAT WE OFFER. A key part of the fabrication process, coating is an area that we specialise in and are happy to help provide. We’re fully aware of the importance of getting it right for your steelwork project, which is why we only use the best skilled and experienced tradesmen to carry out our coating. All of our staff are rigorously trained to use our specialised equipment; all in accordance with Health and Safety regulations and industry standards. CREATING STEEL CONNECTION DESIGNS FOR A SUCCESSFUL RESULT FOR YOU. 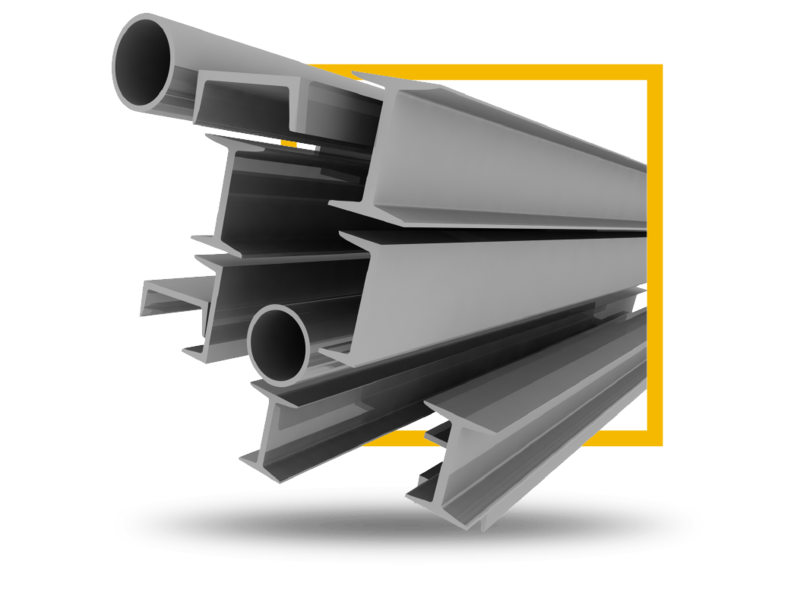 WHEN IT COMES TO ARRANGING STEEL CONNECTION DESIGN, WE’RE EXPERTS. WE UNDERSTAND THE IMPORTANCE OF CREATING DESIGNS THAT WILL RESULT IN A SUCCESSFUL SOLUTION FOR YOUR PROJECT. At Eral Steel, our strength is in our personnel. So we make sure that our highly trained engineers have the knowhow and creativity to design structurally efficient steelwork connections in line with the latest British Standards and codes of practice. 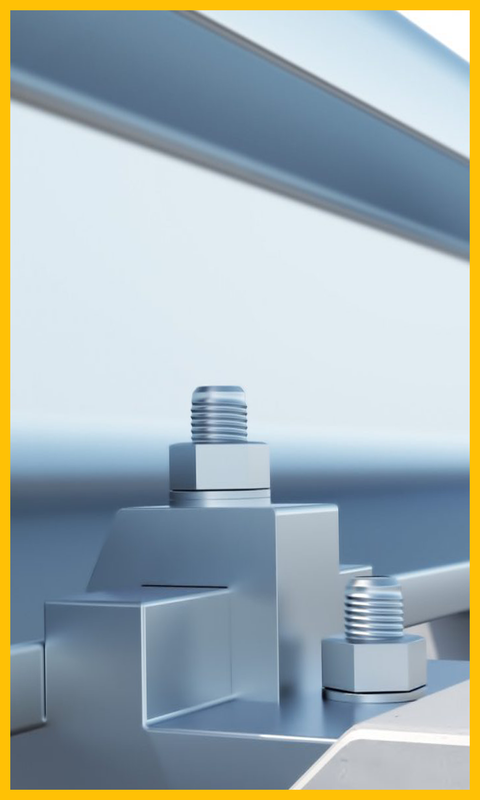 We know that you need your connection for your project to ensure it withstands loads. For this reason, we ensure that every project is individually designed; meeting the needs of your project, regardless of the size. 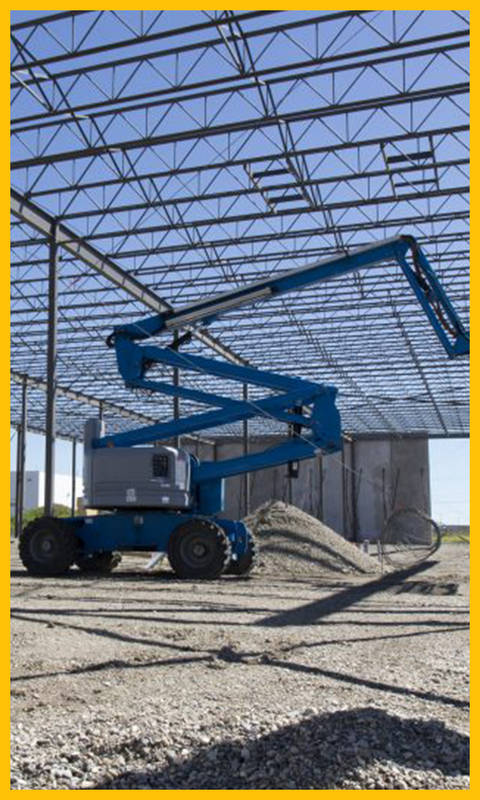 REMOVE THE HASSLE AND LEAVE ALL OF THE SITE ERECTION TO OUR EXCELLENT EQUIPMENT AND FACILITIES. WE RECOGNISE THAT INSTALLING STEELWORK CAN BE A PRETTY COMPLICATED BUSINESS. THIS IS WHY OUR CLIENTS CHOOSE US TO CO-ORDINATE THEIR SITE ERECTION – LEAVING ALL OF THE INSTALLATION TO US. When it comes to site erection, we’re able to deliver a complete service from our excellent facilities. All of our lorries are fitted with cranes – some with 90 feet cranes - and our dedicated and qualified drivers and staff will ensure that your steelwork is safely offloaded and delivered to your site. We know that site erection can be a difficult process and we’ll do our utmost to ensure it runs as smoothly as possible. WE’LL CARRY OUT A SURVEY TO MAKE SURE EVERYTHING IS PREPARED BEFORE WORK COMMENCES - ENTIRELY FREE OF CHARGE. AS PART OF OUR COMMITMENT TO DELIVERING A QUALITY SERVICE, WE’RE PROUD TO OFFER YOU A SITE SURVEY – COMPLETELY FREE OF CHARGE. Before you embark on a steel project, it’s vital that you make sure that everything on-site is in perfect working order. For this reason, our highly experienced engineers are happy to carry out an extensive site survey – entirely free of charge. This means that regardless of the steel services that you choose to use, everything will be in order, right from the start. We know that our clients find this service particularly useful, especially when measuring out the steel. 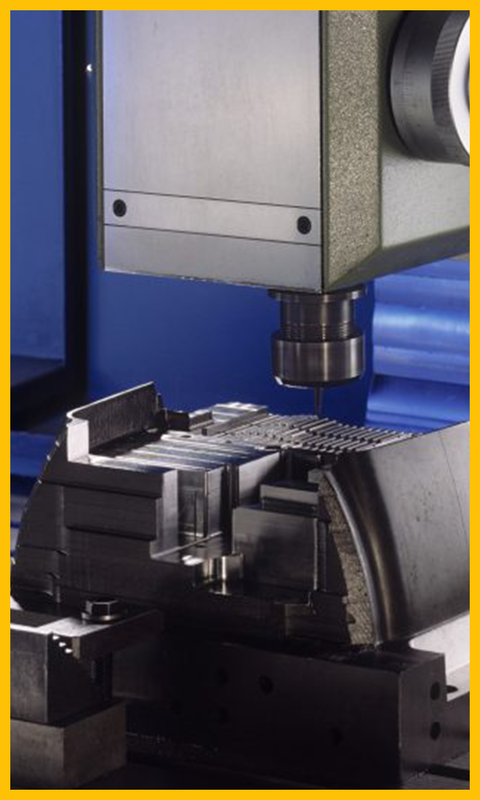 We Offer the complete package for our customers, our customers are the most important thing for us. Over the years we have built on our expertise and experience in providing to the market a complete solution. Architects within the educational, housing, restaurant, commercial, and industrial developments.